"You couldn't beat it. I mean it was a beautiful, beautiful breakfast. It was fit for a queen or a king," diner Annah Shoffner told CNN affiliate WNCN-TV in Raleigh, North Carolina. You saw my facebook status the other day, right? 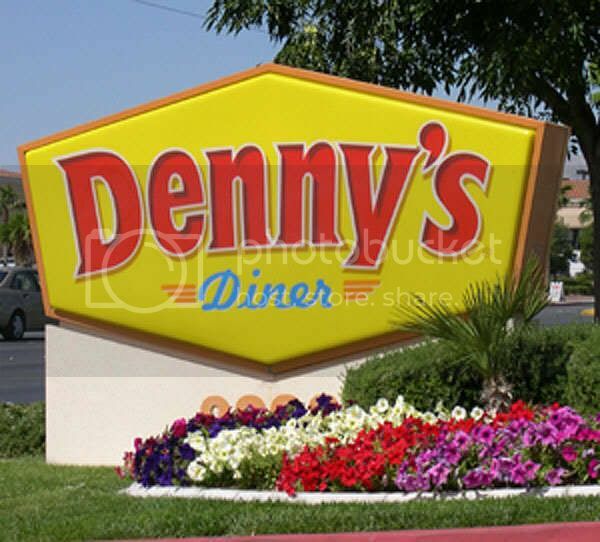 [Sarah thinks it is so ghetto that the Denny's website is crashing over free grand slams. ] God, you're right, NYC Interior Designer; America is straight hood sometimes. Yes, which is why I sent you that link. It really is ridiculous. How could someone even come near implying that a Denny's Grand Slam is a meal fit for royalty? ...Then the news actually repeats/reports that! Ridiculous. I know, and it's not the Bumf**k Courier either. It's CNN. Also, I just got back from taking the GRE and I KILLED IT!!! Straight up son. And no, I am unemployed and would not be caught dead at a Denny's...ever. And NYC Interior Decorator, perhaps all these hardworking individuals went in for breakfast BEFORE work -- it said they started at 6 am. Or they are like the student who "identified himself as DeShawn" (does that mean the reporter didn't believe him?) and are going for breakfast before class. What really kills me is that all this fraternizing with the hoi polloi was for a not-even-important-enough-to-be-on-the-online-menu Grand Slam. They could have upped the ante and at least made it a Moons Over My Hammy (Ham and scrambled egg sandwich with Swiss and American cheese on grilled sourdough. Served with choice of hash browns or grits) or perhaps one of the "grander" Slams, like the Lumberjack Slam or the All-American Slam [insert cheering crowd sound here].